Coptotermes frenchi is similar to Coptotermes acinaciformis, however is smaller and has smaller mandibles. It is a shy but highly destructive pest that is commonly found in the trunks and roots of Eucalptus trees, and in all of the Eastern states of Australia. These ‘castes’ will all perform differing functions within the colony, all ensuring its continued safety and long term existence. The Worker termite is the one you will most commonly come across if you find live termites – the Workers, which can live for several years, are blind, sterile, wingless, and can work 24 hours per day with their primary function being to provide food for the colony. The Coptotermes Frenchi is a subterranean termite that nests in the root crown and lower trunk of live trees. 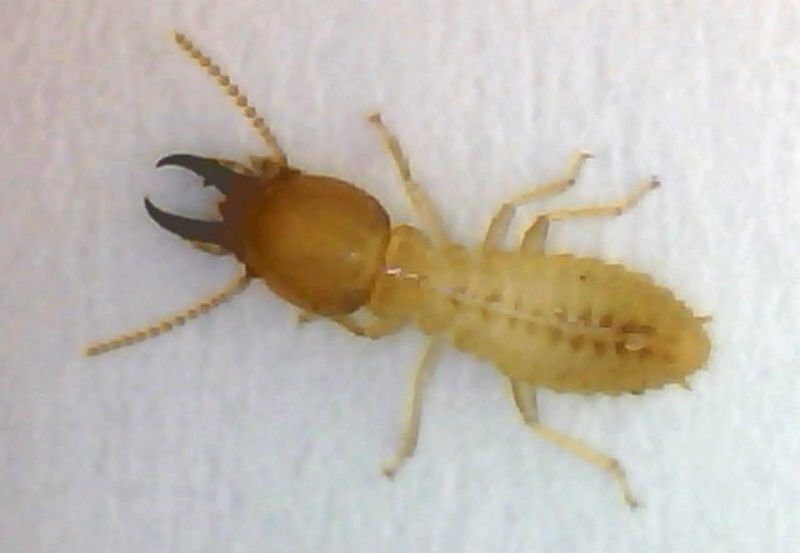 Predominantly found in forests, as native trees are still popular in densely populated urban areas, this particular termite is commonly found attacking homes by homeowners and also are found during regular termite inspections. The colonies of Coptotermes Frenchi tend to be slightly larger than other types of termites in Australia but mudding is uncommon and they generally do not form bivouacs across larger areas. They are found around the coast of Australia starting in Northern Queensland and all the way down and through into South Australia. As with most termite species, the Coptotermes Frenchi breakdown the cellulose in wood as their primary food source. With a preference for feeding on live Eucalyptus trees, this termite will also attack homes and buildings constructed of timber framing including timbers used in fence posts and power poles for food. In general, termites will feed on any source of cellulose they come across, and this can include timber wall framing in homes, skirting boards & window frames, paper products, wallpaper, anything made out of cotton (including clothing), cardboard, and furniture stuffing. They are particularly attracted to areas in homes such as bathrooms and wet areas including any damp areas around the home including the subfloor area under the flooring. The Coptotermes Frenchi is among the most destructive species of termites in Australia. They can cause major damage to wooden structures and buildings. They are more easily disturbed than other species and will retreat if they are startled by anything. This means that any type of nearby development can disturb them, as well as general activities such as gardening or chopping down trees on your property. They may even disappear entirely from one area if disturbed, only to reappear later.